The last month came and went too fast. So fast, that I feel like I blinked and it was 2014 before I even had a calendar ready. But this year is off to an awesome start. There is tons of new music to look forward to, but my favorite part of the new year is always the festival lineup announcements. 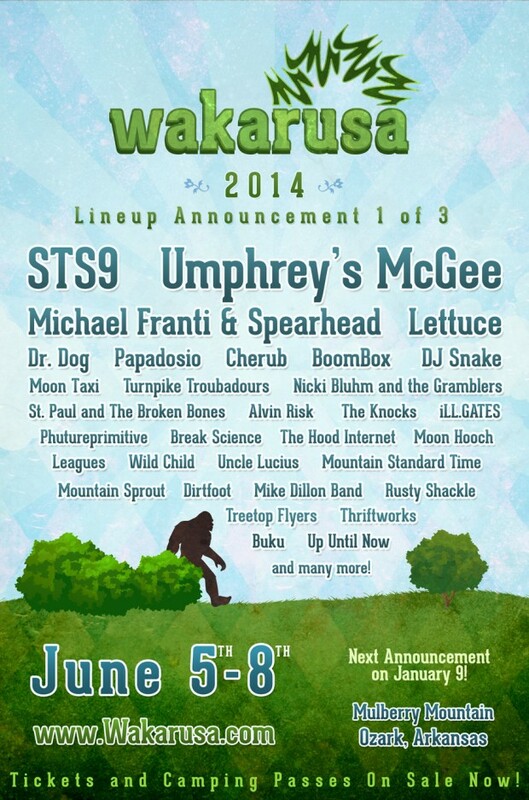 In other local news, Wakarusa (June 5-8, Ozark, AR) has already shared the first part of their lineup (and a pretty new website), but apart from Michael Franti & Spearhead, there is nothing very surprising on the first release. I’m going to need these guys to just drop the full lineup at once, because I haven’t had any psychic revelations about Waka. 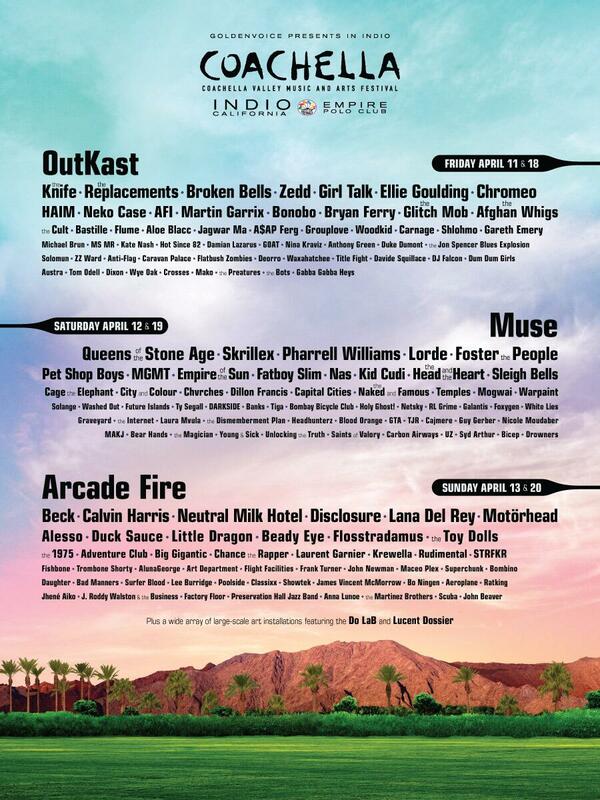 This entry was posted in Music Festivals, Music News and tagged coachella, lineup announcements, Music Festivals, News, OutKast, Wakarusa. Bookmark the permalink.